The Italian artist and architect&apos;s legacy lives on in the futuristic desert home where he sculpted his famous bells. Back when Bebe Rebozo was a household name, an artsy college boyfriend insisted that I see Cosanti, in what was then an undeveloped part of Paradise Valley. Born and raised in gentle Midwestern suburbia, I had to take time to process what I saw on that five-acre, mesquite- and creosote-dotted site. I gazed over a phantasmagorical mashup that evoked Tolkien imagery, Flintstones cave dwellings, a Star Wars space colony, a hippie commune and gigantic ceramic pots, bedecked with primitive imagery onto walls and ceilings, and dangling wind bells. Everywhere I looked, there were gigantic aspes where ceramics were fired and bronze bells cast, undulating roof structures that sheltered workspaces, barrel-vaulted cubes that housed studios, and an improbable concrete canopy hoisted onto telephone poles to shelter a freeform swimming pool. I wandered around for a long time, trying to comprehend what I was seeing. This was the home and studio of architect, artist and urban theorist Paolo Soleri, who spent the majority of his life pushing the boundaries of architecture, art and urban planning by using Cosanti as a living laboratory, from which he plotted and launched his well-known Arcosanti experimental city on a desert mesa north of Phoenix. Cosanti exists today, even after Soleri’s death at the age of 94 in 2013, still as that living architecture laboratory, art studio and visitor magnet. And, yes, those bells–both bronze and ceramic for which he became known–still dangle appealingly. Wright was espousing single-family homes and suburban development; Soleri believed cities should be compressed and highly social, with outlying land left untouched, so inhabitants could have both urban and wilderness experiences. Wright and Soleri did not see eye to eye, and the young Italian soon found himself without immediate prospects, camping on the side of Camelback Mountain with a fellow destitute former Taliesin apprentice. 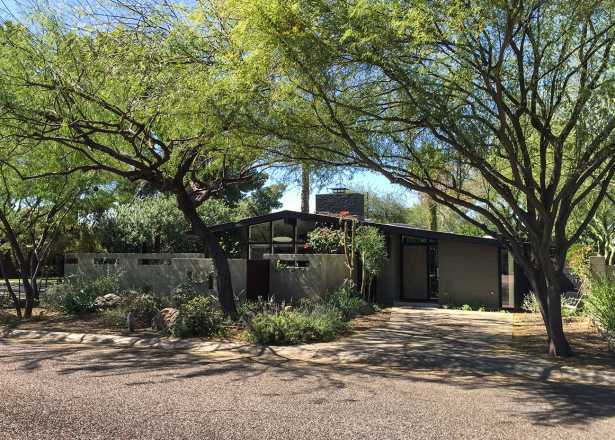 Soleri bought the Paradise Valley site in 1953 for $12,000, and the family (they eventually had two daughters) lived in the old ranch house on the property. He called it Cosanti, combining two Italian words meaning “against things.” It was his way of artistically rejecting materialism. 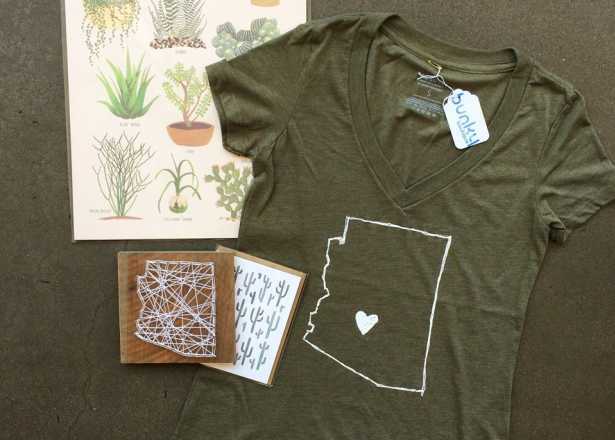 Wearing his trademark micro-shorts and flip-flops, Soleri made his income by casting ceramic wind bells, pots, platters, light fixtures and more in the silty earth of his property, selling the pieces to Fifth Avenue shops and galleries in downtown Scottsdale, where tourists clamored for more. He began experimenting with bronze bells as well, adding a foundry near his ceramics kiln. His designs were futuristic, sculptural, flowing–more Mad Max than the midcentury designs favored at the time. By night, Soleri couldn’t quite abandon his architectural training. He sketched, often on long rolls of paper, conjuring up fluid visions for futuristic buildings, bridges and cities. In 1956, Soleri designed and built his first structure on the property, dubbed “Earth House,” using a similar approach to making his ceramics. He created a rounded pile of earth, carved with design elements, covered it with concrete, then excavated it to create a livable void. A drafting studio attached to the ranch house and an adjacent ceramics studio followed in 1958, both using a similar earth-casting technique to build the structures. By the late 1960s, Soleri was hitting his stride. He had established an apprentice program, with workshops, to help him with his ceramic and bronze bells, which funded his architectural experiments. The student workshop participants also helped to design and build more than a dozen other structures at Cosanti. His writings and drawings on urban planning, ecology and the future of cities gained international attention. Soleri was invited to mount an exhibition of his work in 1970 at the Corcoran Gallery in Washington, D.C., which had blockbuster attendance. Television appearances and magazine covers followed. In 1970, Soleri began his most ambitious–and notable–project, the design and construction of the experimental city Arcosanti, on what was once a cattle ranch in Yavapai County. It was there that he could continue with his urban laboratory on a larger scale, and where he oversaw, during the course of decades, thousands of apprentices who came for weeks at a time to get hands-on experience in building the new city. At Cosanti, Soleri worked until his death, writing, lecturing, organizing exhibitions and taking on the occasional architectural projects, such as his last, the monumental 2010 Soleri Bridge and Plaza, commissioned by Scottsdale Public Art for the Arizona Canal in downtown Scottsdale. As for me, I now live a power-walk away from Cosanti and still enjoy the occasional visit, especially when I have out-of-town visitors in tow. These days, though, I look less at the structures and the bells, but get my enjoyment from the expressions of my visitors as they wander about, trying to comprehend Cosanti–and the genius of Soleri.